The earliest traces of human presence established with certainty from the Neolithic years. Rich findings of the time, and the Bronze era, have been identified in the areas of Marmaralona (Xerokampos), Koutri (Agios Ioannis), Agios Georgios (Meligou), Heronisi, Paralio Astros, Leonidio and Geraki. Despite the constant upheavals, some major settlements, usually fortified, developed during this period. In the NE region, which in ancient times was called Thyreatis, the main settlement was Thirea and the secondary Anthini, Nirida, Eva and Astros. 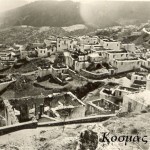 The SE region was the country of Prasiai, where the main settlement was Prasiai and secondary Polihni, Tyros and Glyppia. Geronthres and the ancient Marios, who held the position of the current villages Mari and Geraki, were in south-west side. 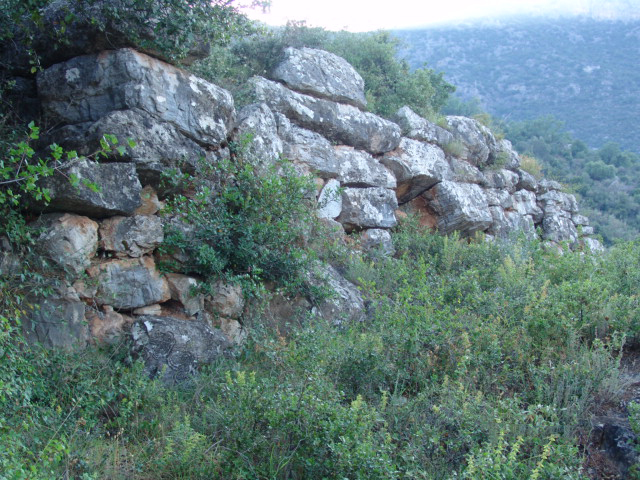 The Prison of Pausanias in Tegea, must have been at the fortified hill in Kakkavouleri (20 minutes from Vourvoura). Finally, the ancient Karyes were probably in north of the current village. 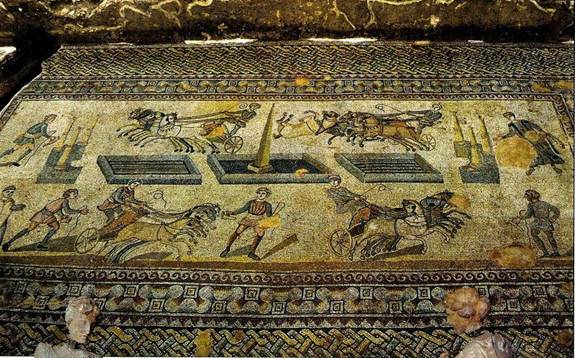 The region of Geraki, although it is generally unknown, it is characterized by the presence of many valuable and Byzantine monuments. 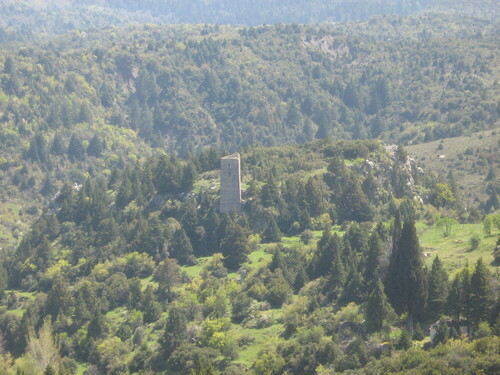 Opposite of Geraki, at the top of a hill, now dominate the relics of a Byzantine castle-town. 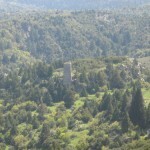 The famous castle was built by the Franc Baron Guy de Nivele, who had been granted the area in 1209, to manage it. This large and extensive fortress was a station of communication between the castles of Mystras and Monemvasia. In 1262 passed into the hands of the Byzantines, which further strengthened the walls and inside the castle built many churches, like Agia Paraskevi and the Virgin Mary. The church of St. George, which is also inside the castle, is dated around the 11th century. From the 4th century AD the region of Parnon, and also Peloponnese, was part of the Byzantine Empire. The Christian religion spread out from the 6th century AD, as evidenced by grave inscriptions found in Paliostolos, N-NE of Stolos, where ruins of a paleochristian village were found. In the 8th century appeared the Slav tribes (Milingoi and Ezerites), who settled in inaccessible areas of Parnon. The periodical uprisings (from the 8th to the 10th century.) 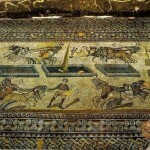 were put down by the army of Byzantium and they slowly became Christians and greeks. 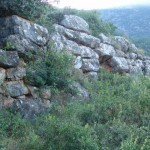 The Milingoi left many place names such as “Melingitika Kalyvia” near Astros, and the “Meligou” near Agios Ioannis. In the 13th century (A ‘Frankish sovereignty) the region passed in the hands of the Franks and the Venetians, who, in order to ensure their sovereignty, built the fort in Geraki and the Castle of Orias in Xerokampi. After the battle of Pelagonia (1259) and the recovery of Constantinople by Michael Palaeologus, the area returned to the sovereignty of the Byzantine (1262). 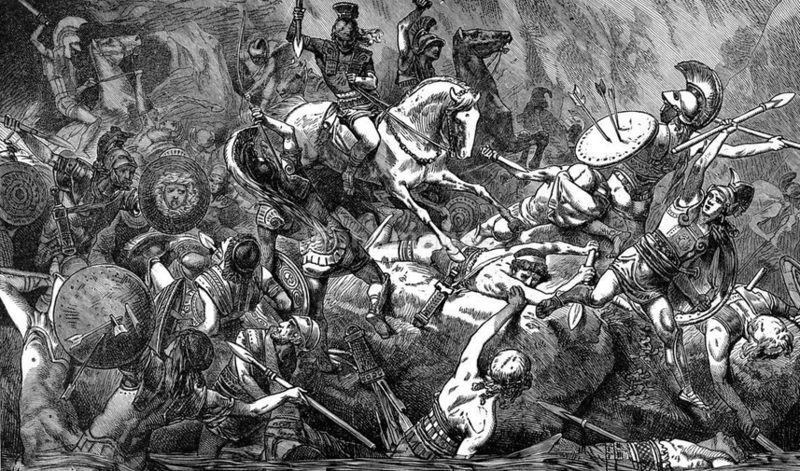 But the fighting and looting had not stopped. 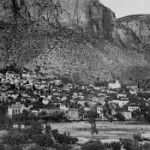 The Peloponnese did not prosper any more. The Venetians continued to be interested in the region and thus in around 1400 they took Astros. A few years later the region passed into the hands of the Turks, who invaded the Peloponnese in 1460. At that time trade and shipping were flourishing and trade relations of Prastos had reached Istanbul, Russia, Turkey, Egypt and France. For the disposal and storage of the products, many locals, and other Tsakones had settled in several major cities, but mostly in Istanbul, where they retained laboratories and warehouses. The goods were usually transported by ships from Spetses and Hydra, whose major shareholders were merchants from Prastos. The exported products were oil and acorn from Tsakonia and Mani, silk from Mystras, cotton from Argos, raisins from Corinth, wine of Samos etc. The imported ones were caviar, maize, textiles, indigo, coffee, sugar and other luxury goods. 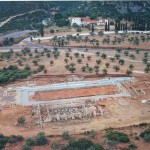 Prastos because of the lucrative trade had developed significant economic power and had become a historical capital of Tsakonia. The village was decorated with soaring towers, churches, aqueducts etc. The glow of Prastos extinguished after the destruction from Ibrahim. In 1687, Morozini defeated the Turks and the region passed into the hands of the Venetians (B’ Venetian Rule). The Venetians kept their possessions until 1715 and managed to thicken the population and to intensify the various crops for their own benefit. After 1715 the region was again overrun by the Turks (B’ Ottoman Rule). 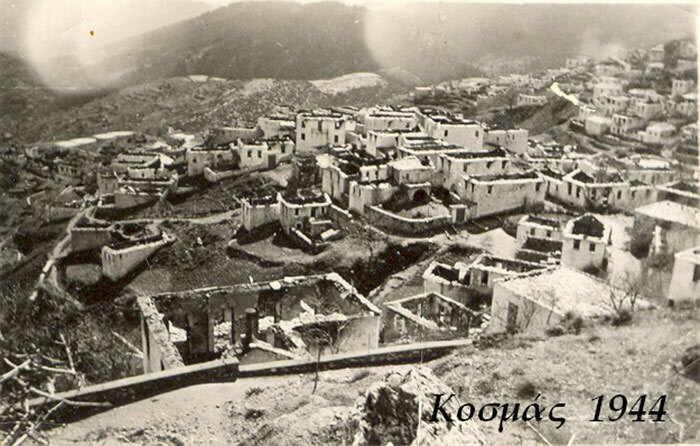 In the 18th century and until the Greek revolution, the region had two important villages, Agios Petros and Prastos. 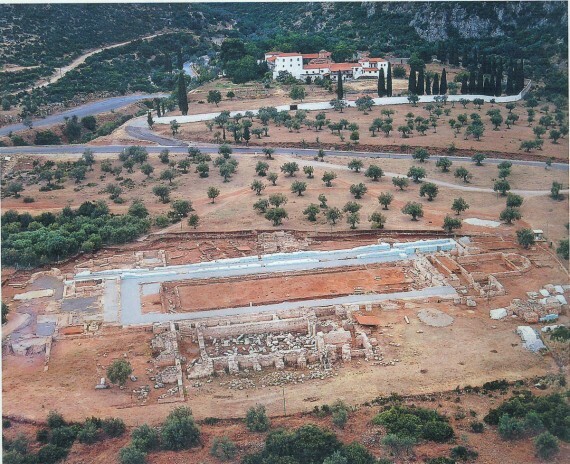 In the area of Thyreatis the settlement of Agios Ioannis evolved more, together with the surrounding monasteries, creating a valuable intellectual life. In a relative acne were also the neighboring villages of Meligou, Platanos and Tristena (Charadros). In 1826, Ibrahim, furious from his losses, burned Agios Petros. The same fate had Agios Ioannis, Kastri, Meligou, Platanos, etc. and then Prastos. During the Ottoman Rule, the region of Mount Parnon has hosted many prominent figures of the revolution. The most important captain and legend of Parnon during the pre-revolutionary period was Zacharias Barmpitsiotis. Zacharias, aka “Head-Coronel of Morias”, wanted to unite all the “Thieves” under his command. Nearly all of Laconia and Tsakonia were organized by him. Near the xakoustoi fought Many great “Thieves” fought beside him, as captain Thanassis Karabelas from Vervaina. In the group of Zacharias belonged -at a young age- Theodoros Kolokotronis, later the famous “Old Man of Moria” and prime mover of the revolution. With the liberation of Hellas, Prastos and Agios Petros became provincial capitals of the newly established State and the mountain of Parnon was split between the Perfecture of Arcadia and Laconia. During the german-italian rule, the area of Parnon became one of the most important centers of resistance against the invaders. With the withdrawal of troops occupying the region, the area was once again “tested” by the Civil War. 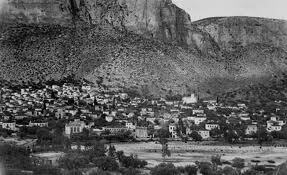 The area of Parnon, from the mid-19th century, slowly lost its prestigeand, like all mountainous regions of Greece, the population decimated from internal and external migration. By the end of the Civil War, the region was unable to recover. The difficult living conditions and the hope for a better future have heightened the phenomenon of migration and the region was led to an economic and demographic collapse. It is characteristic that while in 1940 the population of the region was around 29,000 inhabitants, in 1991 barely exceeded the 12,000 residents.